Do you like piecing together jigsaw puzzles on your computer? Then you'll enjoy these free jigsaw puzzles to download and share with friends. These jigsaw games feature pets and wild animals, nature, art, scenic attractions, the spectacular colors of autumn and much more. These jigsaw puzzles feature gorgeous landscapes, beautiful cities, medieval architecture, ancient ruins, wonders of nature and other scenic vistas found throughout the world. All these puzzles are free and come in three difficulty levels. For animal lovers, here are dozens of online animal jigsaw games featuring birds, both common and exotic, beautiful insects, horses, reptiles, tigers, bears and other animals to download and play on your computer. Once again, the puzzles are free and come in three difficulty levels. The jolly old elf is about to embark on his annual trip around the world, delivering nothing but joys and toys to all the girls and boys. Of course, he can't do it alone, that's where these jolly old elves lend a helping hand. Beautiful flowers of all shapes and colors are the focus of this collection of online jigsaw puzzles. The nice, three-dimensional pieces and three difficulty levels make these free jigsaw games an enjoyable pastime for floral fanciers of all ages. Whether you're an automobile enthusiast or suffering from motorcycle mania, these free online jigsaw games featuring classic automobiles, sport and luxury cars, motorcycles, sailing ships and airplanes are bound to rev up your engines. Piecing together a Jigsaw Planet jigsaw puzzle. For those who'd like to make their own free jigsaw puzzles, we recommend Jigsaw Planet. It's a good choice for creating puzzles because your puzzles are not removed after a certain number of days or because of inactivity. Simply upload your image, choose the piece cut and difficulty level and let Jigsaw Planet create a customized puzzle that you can easily share with friends, family or students. Jigsaw Planet also has thousands of jigsaw puzzles created by users of the site, but the good ones can be hard to find. Piecing together a Jigidi jigsaw puzzle. Jigidi is a busy hub for free online jigsaw puzzles. 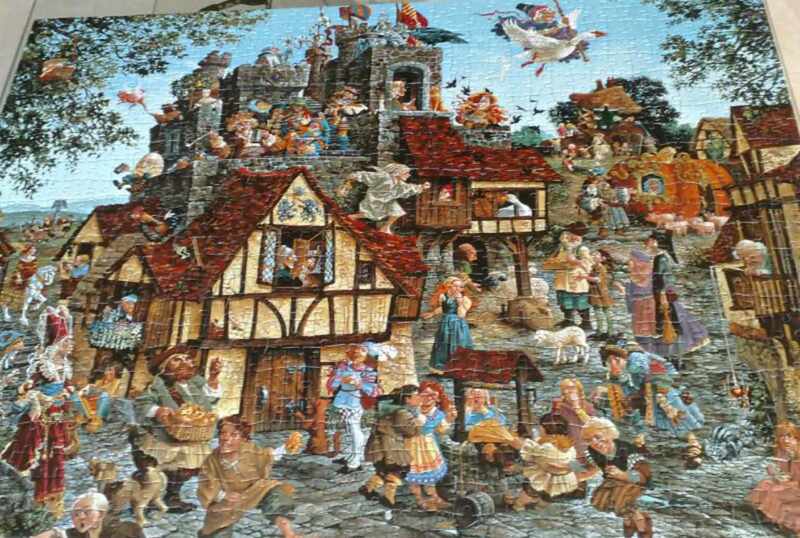 Thousands of loyal fans from around the world create hundreds of new jigsaw puzzles every day. The puzzle pieces are easy to see and interlock nicely. There's a zoom in/out feature for when you need extra space on the board. Jigidi is great jigsaw fun for speed solvers and those looking for an easy puzzle game without all the bells and whistles.